A vivid, funny, and poignant memoir that celebrates the distinct lure of the camaraderie and community one finds drinking in bars. Rosie Schaap has always loved bars: the wood and brass and jukeboxes, the knowing bartenders, and especially the sometimes surprising but always comforting company of regulars. Starting with her misspent youth in the bar car of a regional railroad, where at fifteen she told commuters fortunes in exchange for beer, and continuing today as she slings cocktails at a neighborhood joint in Brooklyn, Schaap has learned her way around both sides of a bar and come to realize how powerful the fellowship among regular patrons can be. 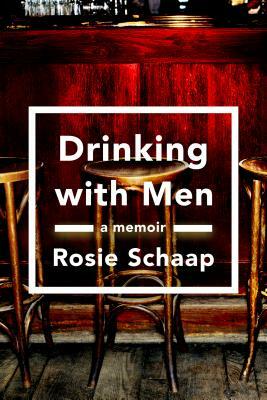 In "Drinking with Men," Schaap shares her unending quest for the perfect local haunt, which takes her from a dive outside Los Angeles to a Dublin pub full of poets, and from small-town New England taverns to a character-filled bar in Manhattan's TriBeCa. Drinking alongside artists and expats, ironworkers and soccer fanatics, she finds these places offer a safe haven, a respite, and a place to feel most like herself. In rich, colorful prose, Schaap brings to life these seedy, warm, and wonderful rooms. "Drinking with Men "is a love letter to the bars, pubs, and taverns that have been Schaap's refuge, and a celebration of the uniquely civilizing source of community that is bar culture at its best. Rosie Schaap has been a bartender, a fortuneteller, a librarian at a paranormal society, an English teacher, an editor, a preacher, a community organizer, and a manager of homeless shelters. A contributor to "This American Life "and npr.org, she writes the Drink column for "The New York Times Magazine." She was born in New York City and still lives there."